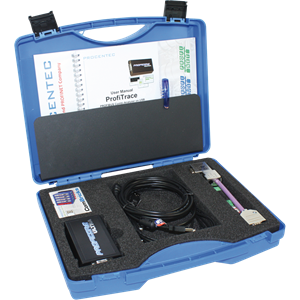 If you have an existing network, you are responsible for the installation and commissioning of new networks or conduct testing on Profibus systems you most certainly require a high performance bus analyser. Although Certified Profibus Training is one of the most fundamentally important steps required, even with this training it is almost impossible to diagnose, commission and analyse Profibus systems blind. Certified Profibus Engineers utilise modern engineering tools like the ProfiTrace Ultra kit to assist them on each project. What features should I expect from my PROFIBUS analyser? How will these features assist me in troubleshooting a plant trip? Terminations are solely responsible for 90% of the Profibus network issues we experience day to day. With a quick analysis of the oscilloscope waveform and the Profibus driver voltage levels, the Profibus Engineer can quickly identify whether the network has a missing termination, over termination or termination in the incorrect place. Duplicate addresses most commonly occur during plant commissioning, upgrades and when replacing a Profibus node. Network trips and failures with a duplicate address are inevitable. An analysis of the driver voltages, bus statistics (Illegal messages, Syncs) as well as a view of the network live list will help to identify the culprit. EMC is very commonly found within the industry and often results in network trips and sub-optimal network performance. EMC often occurs when the bus cable runs in close vicinity to high voltage cables and machinery, this causes corrupted Profibus messages by distorting the Profibus signal waveform. The level of impact EMC causes is identified by an analysis the oscilloscope wave form of each device, within multiple segments. An identification of various bus statistics is also very useful. Within the Profibus specification, various maximum and minimum cable lengths are identified, violation of these segment lengths will more often then not result in network failure. The minimum cable distance between any two devices is 1 meter, the maximum depends on the baud rate which you are running your network at, for example at 1.5 mbps you can run a maximum of 200 meters of cable before you require a repeater. Often it is difficult to identify if there are exceeding cable lengths due to the cable running in and out of cabinets and spanning across the various levels of the plant. ProfiTrace will assist you in measuring the exact cable length during diagnostics. Certified Profibus Engineers will also be able to identify the symptoms of attenuation, such as decreasing driver voltage levels and noticeable 'riding' of the signal waveform.